lifetime of pages: Swirlydoos July Kit Reveal and Blog Hop!! 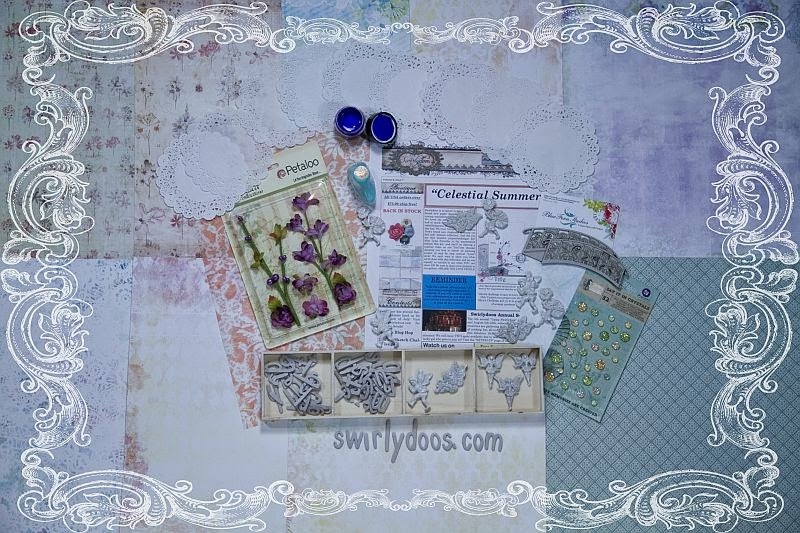 Swirlydoos July Kit Reveal and Blog Hop!! 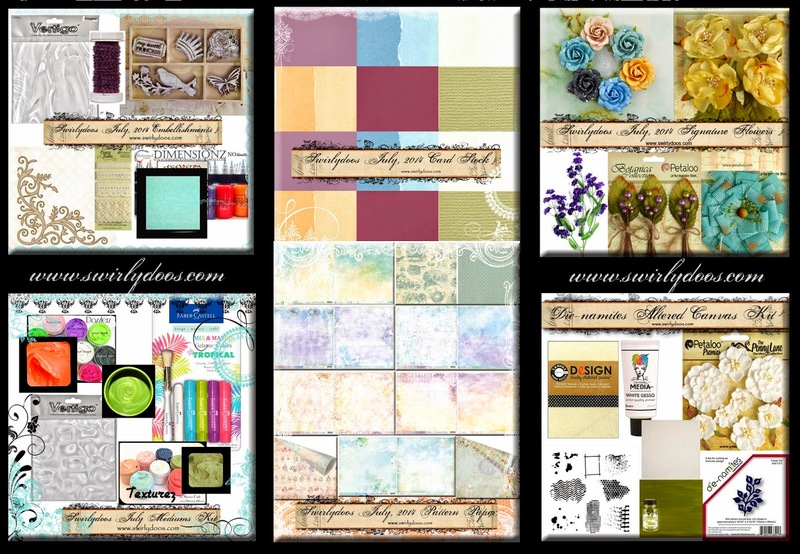 July Scrapbook Kit Reveal & Blog Hop! If you came here from the Die-Namites blog, then you are on the right track. If not, go back to Swirlydoos' blog and start from there. We have some amazing projects for you to see today !! Make sure to leave a comment on all of the blogs for a chance to win!!! Make sure you have LIKED & FOLLOWED Swirlydoos on Facebook!!! And check out these coordinating add ons that perfectly compliment our July scrapbook kit! Are you a subscriber? If so, your kit is on it's way! If not, check out the Swirlydoos store to see if there are any July kits or add ons in the store! Next is a fun canvas created with the Julie Nutting die-cut and stamp set I snagged in the Swirlydoo store. I chose this saying as a reminder to myself for everytime I tell myself the opposite! Lots of fun with textures and incorporating the goodies from the kit such as the Prima wooden pieces,the elegant Blue Fern Chipboard and lovely yards of trim! My last page for today features my daughter and her BFF getting ready for the 8th grade formal. I pulled in some black accents from my stash to complement the color schemes of their outfits. I just adore the little resin Prima fairies in the kit-loove tucking them in everywhere! I embossed the Blue Fern chippie in silver then added touches of blue and patina before adding touches of perfect pearls as accents. I embellished and tucked in a little Prima crown for my 2 princesses! You have until midnight, eastern time, on Thursday, 7/10 to complete the hop. Winners will be announced on the Swirlydoos Blog on 7/11. 3: Finally, go back to the Swirlydoos blog and leave a comment letting us know how much fun you had, tell us the sentence that was created with all of the special words you collected. Your turquoise and black lo is a knockout! I LOVE it!!! beautiful projects as usual. Love the canvas. 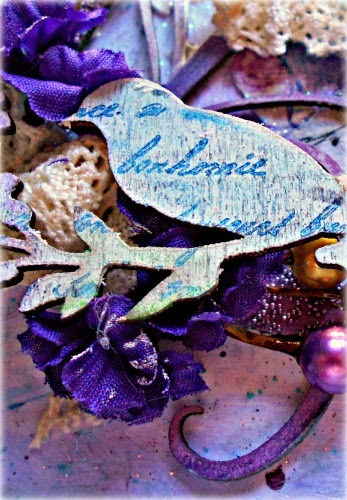 Love the turquoise and black colors scheme and the purples are gorgeous! Thank you for sharing the Anatomy of a Layout! It's fabulous! Wow I love all you creations! The canvas is super cute and the pages are stunning! I really love the colours you used! Love the turquoise and black layout! It's a stunner. there is so much detail. I need to just admire all of it!!! so much to take in. Whew! The detail you put into your layouts is amazing! So much to like!! That blue doily flower on the first one is GORGEOUS! Can't wait to see the anatomy. 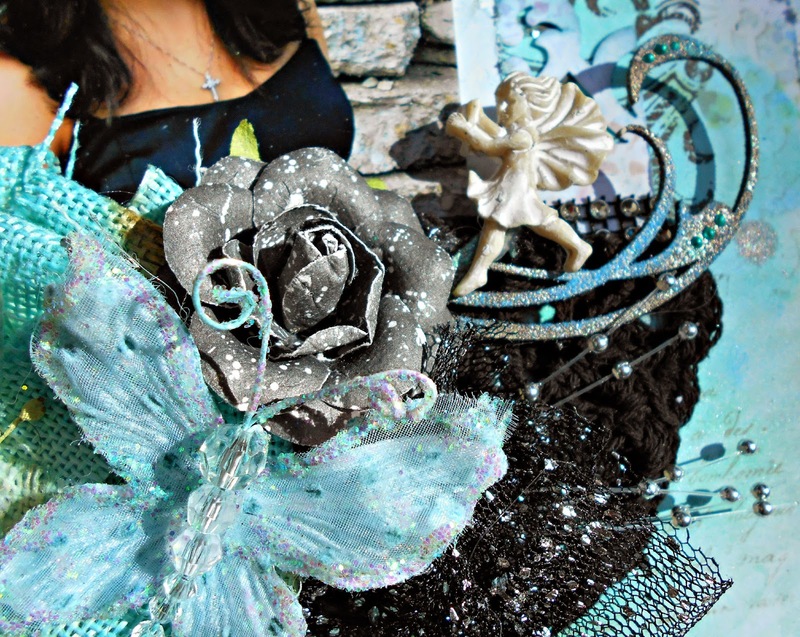 THEN there's your beautiful Prima doll with all her pretty layers of texture, lace and bling... love her! And WOW the turquoise and black layout is STUNNING! Wow, your layouts are sooo pretty. Definitely digging the fairytale vibe this month! Loving all the purple, but the BFF's LO is so beautiful!!! Gorgeous projects, Tracey!!! I love the colors and I love the layers; your canvas with all of the background texture and the Julie Nutting doll is fantastic!!! 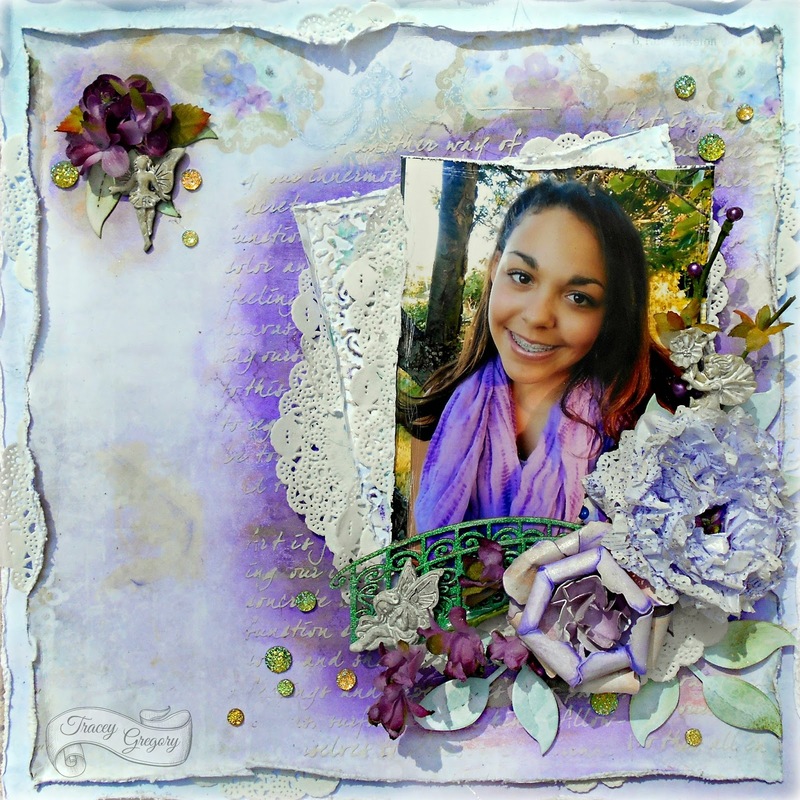 Gorgeous purple layout - thanks for having it on tutorial. The 8th grade formal layout is gorgeous!!! Wonderful flowers, colors and page design, thanks for sharing with us. wow.... beautiful pages and canvas! I love all that dimension on the canvas piece! Great details on each project from this lovely kit! Love that beautiful bridge die! Gorgeous projects! I can't wait for the Anatomy of a Page, because you used my favorite color! Tracey, the colors are just awesome. Great projects. I'll be back to admire them again. Such beautiful layouts Tracey, I love the doily flower you made in that first layout and the teal and black layout is awesome! The colours in this kit are just so pretty - LOVE that Canvas, its just gorgeous! Lovely layouts and stunning canvas. Wow! Fabulous projects! This time I can't even pick a fave! But I'm anxious to see your Anatomy of a Layout tute! 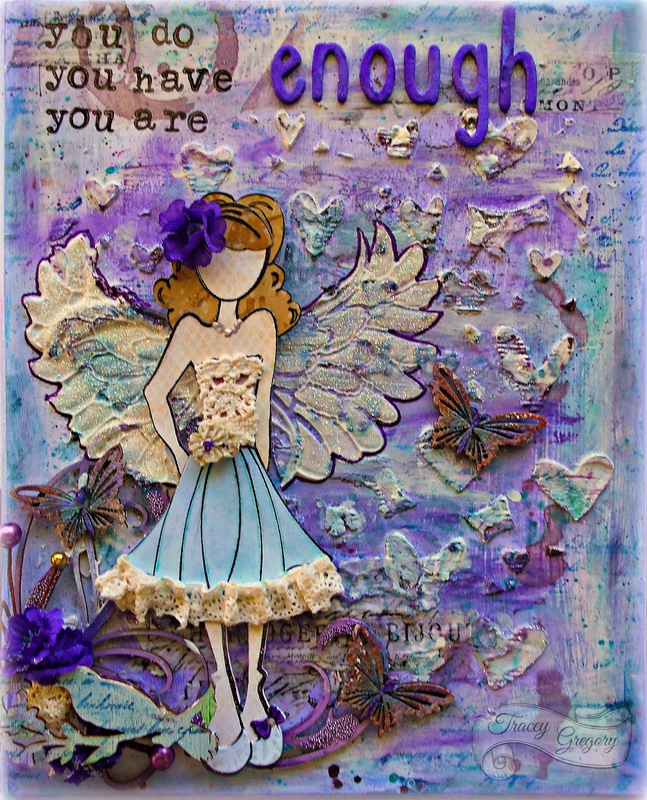 Beautiful projects, love love the purple layout, stunning. All of the projects are amazing. I love the purples on the first page. The little angel "lady" is darling (I love those stamps). WOW Tracey!!!! 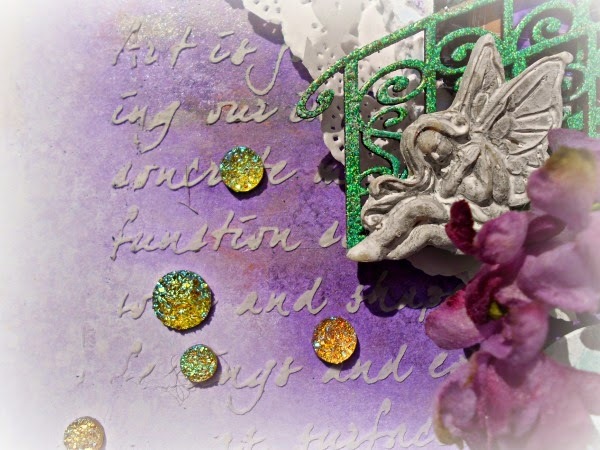 I so love your beautiful pages and canvas you made with this months kit. Gorgeous work! And thank you for showing yourcreative process of the Anatomy page.